The Soifer Mathematical Olympiad will return to UCCS for its 36th year April 26. An estimated 400 middle and high school students from around the state will meet in Berger Hall at 8 a.m. and move to Gallogly Events Center at 9 a.m. to begin the competition. Participants will have until 1 p.m. to complete five essay-style problems. Registrations are now open online. The SMO is a chance for middle and high school students to test their talents and ingenuity while competing for medals, scholarships and other prizes. The SMO is the largest essay-type mathematical competition in the United States with participants competing against one another. Suggested participation levels are grades 5 through 12, though no student is excluded. Wolfram Research, Springer Publishing and the UCCS Chancellor’s Office provide prizes and scholarships. UCCS will offer gold, silver and bronze medalists a scholarship. Other prizes include math software and books written by Alexander Soifer. Student participation is free and open to all middle and high school students. There is no limit on the number of schools or students who may participate. On May 3, Alexander Soifer, SMO chair and professor of Interdepartmental Studies, will review solutions to the problems and present awards. The award ceremony will begin at 2 p.m. in Berger Hall with a reception to follow. The event needs volunteers to assist with registration, check-in, and to serve as proctors from 7:30 a.m. to 2 p.m., according to Valerie Quarles, administrative assistant for Interdepartmental Studies. Faculty, staff and students interested in assisting should contact Ms. Quarles, 255-3007 or vquarles@uccs.edu. The Sofier Mathematical Olympiad, previously known as the Colorado Mathematical Olympiad, is supported by Wolfram Research, Mu Alpha Theta, Springer Publishing, the Office of the Chancellor, College of Letters, Arts, & Sciences, Parking and Transportation, School District 20 and School District 11, Greg Hoffman, Bob and June Ewell, and Alexander Soifer. 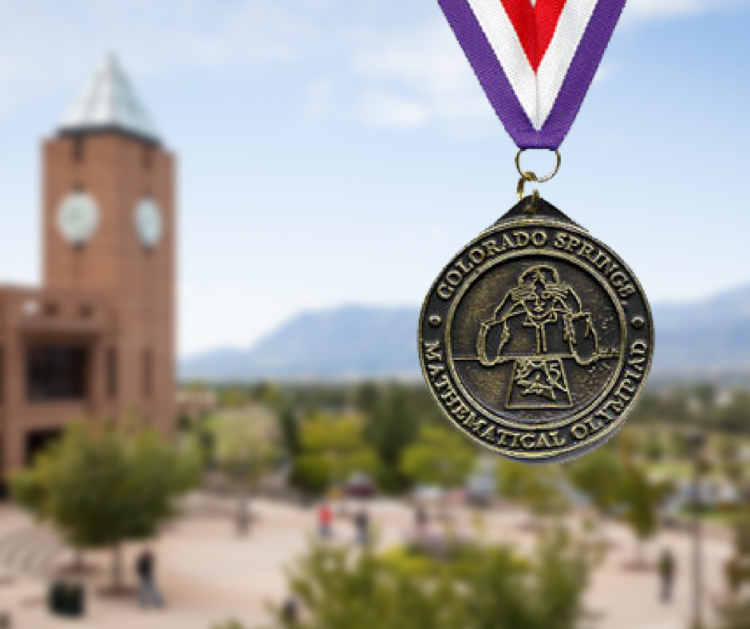 For more information about the Math Olympiad visit http://olympiad.uccs.edu. Challenge questions from previous years are posted each week, with the solution posted the following week on the event’s Facebook page: facebook.com/SoiferMathOlympiad.